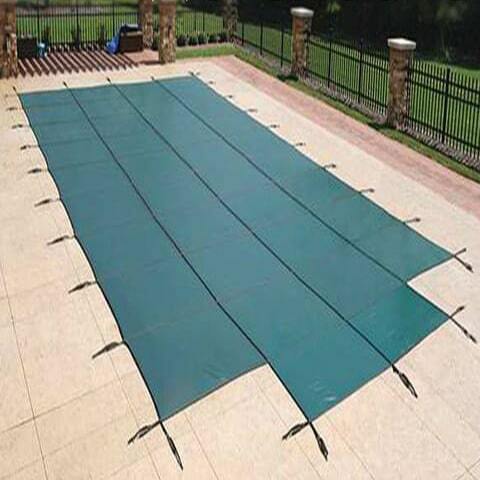 Prevents water from collecting on the cover, allows rain and melted snow to drain right into your pool. Does not block out all sunlight. 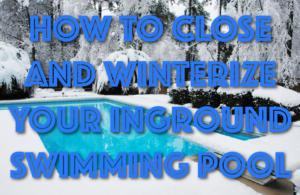 When the snow melts or it rains, the dirty water from the leaves and debris will leak into the pool. There may debris at the bottom of the pool. Mesh covers typically last longer than vinyl covers. 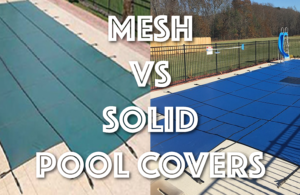 Mesh covers do not need a pump on top because they just let the pool water pass through. Since there's no pump, mesh covers generally require no work during the offseason. With their light-weight material, mesh covers can be taken on and off by one person in most cases, unlike solid covers. Water passing through the mesh cover isn't necessarily clean. 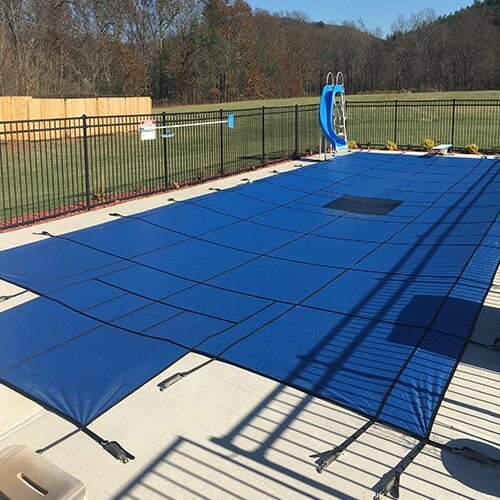 With a mesh cover, the dirty water will just pass right on through to the pool water. Dirty water will require more cleaning in the spring when you reopen the pool. A mesh-covered pool will likely need a few days of vacuuming, brushing, and filtering before it is ready for the new season. The mesh also lets sunlight pass through, which can cause early algae growth. Keeps out 100% of sunlight. Protects pool from snowmelt, rain, and debris. You will have a higher chance of opening up a clear pool. It is heavier than a mesh cover. You must drain the water from the cover with a pump. 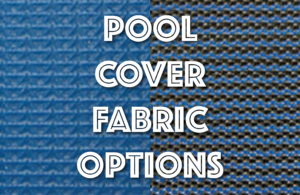 The main advantage to a solid vinyl winter pool cover is the fact that it does not allow sunlight to pass through. This is important because in the spring when the pool water starts to warm up, algae will grow on the walls if it has contact to sunlight. 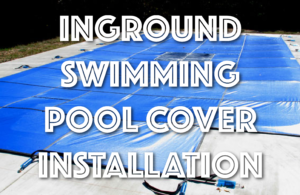 Along with keeping sunlight out, solid vinyl covers keep dirty water out of the pool as well. This cleaner water usually leads to very little brushing, vacuuming, chemicals, etc., in the spring to get the pool swimmable. A solid cover typically lasts 7–11 years, a shorter lifespan than a mesh cover. Solid covers are heavier than mesh and generally require at least two people to take on and off. The submersible pumps used with solid vinyl covers usually only last 2–4 years before needing replacement.